I love ginger ale. 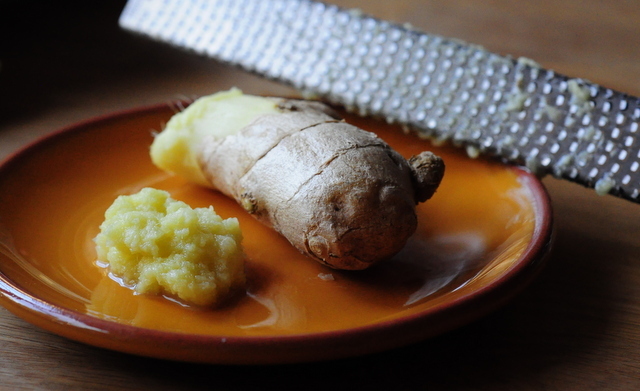 The sweet, spicy flavor of ginger is a palate cleanser and it will also settle your stomach. There are some brands of ginger ale that are made with real ginger and some that aren’t – and ginger ale is so easy to make that it kills me to see brands made with artificial flavorings. 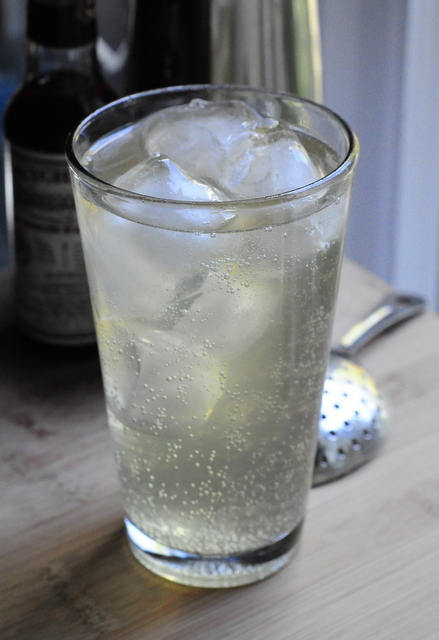 I make my own Homemade Ginger Ale when I can so that I can control the amount of sugar and ginger and get just the right balance of sweet and spicy. My ginger ale starts with a strong ginger syrup. This syrup can also be used to add a dash of ginger flavor to drinks (and it is even good in tea), in addition to being a base for soda. The syrup will last for about two weeks in the refrigerator, so you can mix up a batch of truly homemade soda whenever you get the urge to drink some. Wash and peel the ginger. Grate the ginger with a box grater or a micro-plane and set aside. Pour the water and the sugar into a sauce pan over medium heat. When it starts to boil remove to pan from the heat, add the grated ginger and cover. Let the ginger steep in the syrup for about an hour. Remove the ginger by straining the syrup through a fine strainer. Keep it in an airtight container in the refrigerator and it should last about two weeks. Pour ginger syrup, and lemon juice into a glass. Add the soda water and stir gently. Top off with ice and enjoy.